Our car is a ‘bloke magnet’! At virtually every campsite someone will come up to us and start discussing the vehicle, its design, the shelving we’ve put in etc. Even the hex board lining our tailgate has been the subject of much enthusiastic discussion. At one place we had no fewer than half a dozen people come up to us before, during and after dinner to discuss the car and our trip. 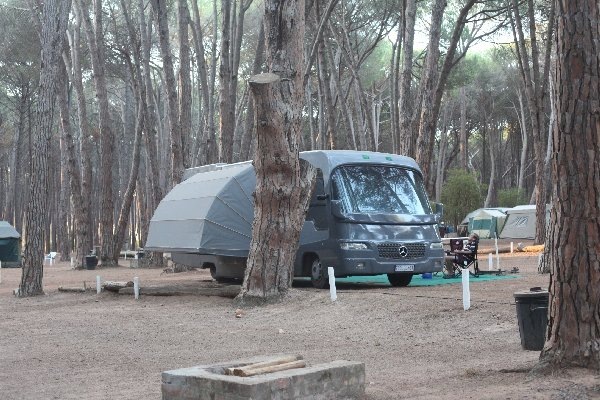 And if you want a swift getaway in the mornings, you definitely need to get up before the other campers have had their first cup of coffee! 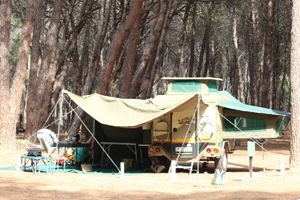 South African campsites are an interesting cultural experience in themselves. 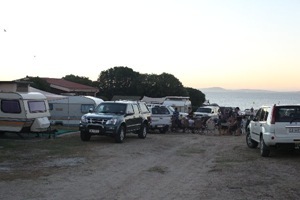 We found ourselves on the west coast one Saturday night and headed to the local ‘caravan and camping park’. The place was packed, with barely a pitch available. 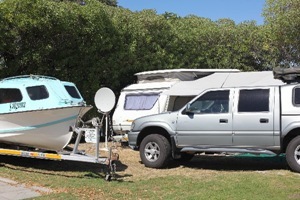 Each site had at least 1 caravan, 2 vehicles, 3 huge tents, 4 adults and 5 kids. Each row had 8 pitches. And there were at least 20 rows. Not exactly camping heaven, but if it’s treated like an anthropological study, it has its moments. From our corner, we saw a street parties unfold in each row before our very eyes. Kids running around, braai (barbeque) fires being lit, meat being prepared, most adults with either a beer or wine glass in their hand, and Afrikaans pop music adding to the soundtrack (think Black Lace meets Rick Astley). And on Sunday morning, at 8am, it’s all hands on deck to pack up and go home. 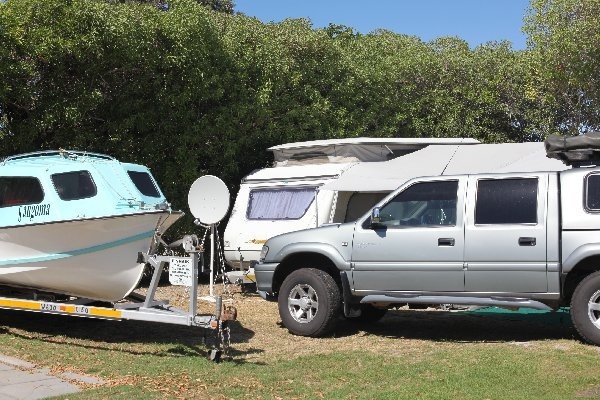 Half the retired Afrikaans population seems to be on the road at any one time, often with their second home in tow – caravans, trailers, motor homes, Land Cruisers with 2 roof tents, boats in tow… we’ve seen it all! As a result, the camping/caravan parks have become a really useful source of information as you’ll usually find someone who has come from where you’re headed. During our road trips we’ve covered a fair few miles and acquired a modest amount of knowledge about various places and road conditions. There are clearly some roads that are big talking points amongst people with 4x4s. Mention that you’ve driven up the Sani Pass into Lesotho or into ‘Die Hel’ (48km/2 hours of hairpin bends) and you instantly earn the respect of whoever you’re chatting to. 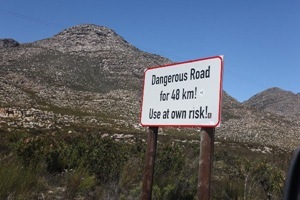 Mention you’ve been on the road through Bavianskloof though and butch men become weak at the knees with excitement! 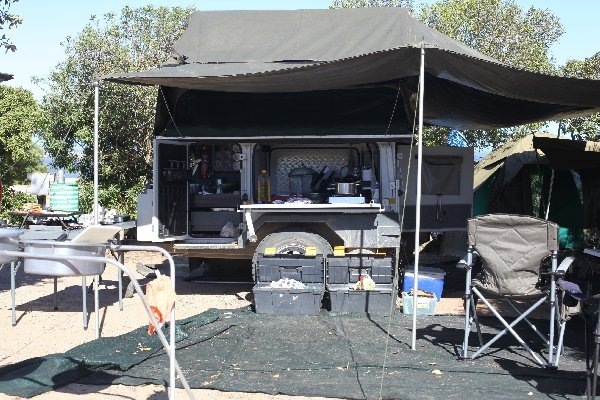 It’s a real ‘blokes’ road’ and has a sense of awe surrounding it – people love chatting about how difficult the road is and how bad the river crossings are. In reality, it’s now not that difficult a road, the riverbeds are dry in summer, and the road itself has been much improved in recent years! Still, it gave Ven a chance for a spot of male bonding, South African style with beer in hand and hunk of meat on the braai. 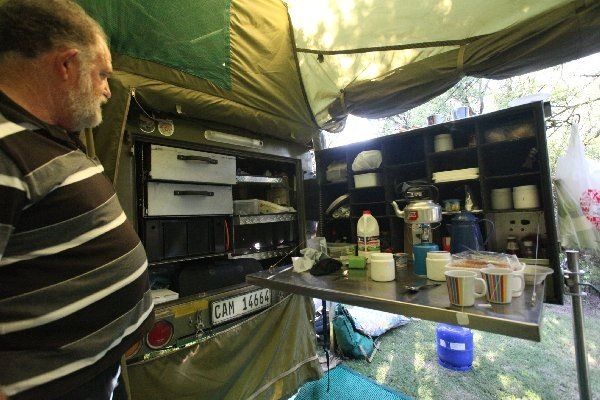 The average South African camper has an impressive set up. We often saw several tents in a site for any combination of sleeping, cooking, eating, washing up, and relaxing. 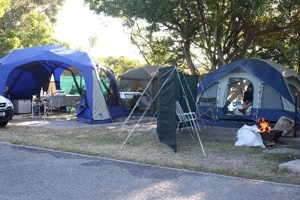 The camping beds were often covered in duvets. 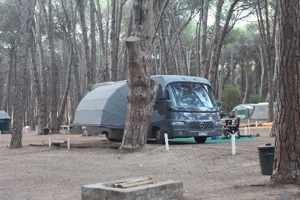 Most impressive though were the caravans with awnings extending from the doors. Some had portable ‘street lamps’, stands to dry laundry on, multiple cool boxes and fridges, huge freezers filled with meat and pre-prepared meals, potted plants (Xmas trees in December), televisions, and even satellite dishes! 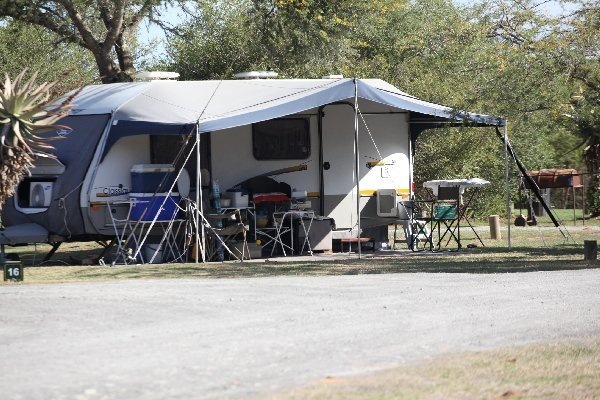 These really are a home away from home. 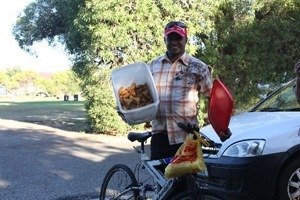 This entry was posted in Lesotho, South Africa. Bookmark the permalink.